This is a post I did last month for Delia's Color My Summer Series. I have since received a few questions about the felt I used. I bought mine overseas a couple of years ago for a bargain (minus the airfare, of course) and I saved the information about the store, if you are able to use google translate for the Korean go here. 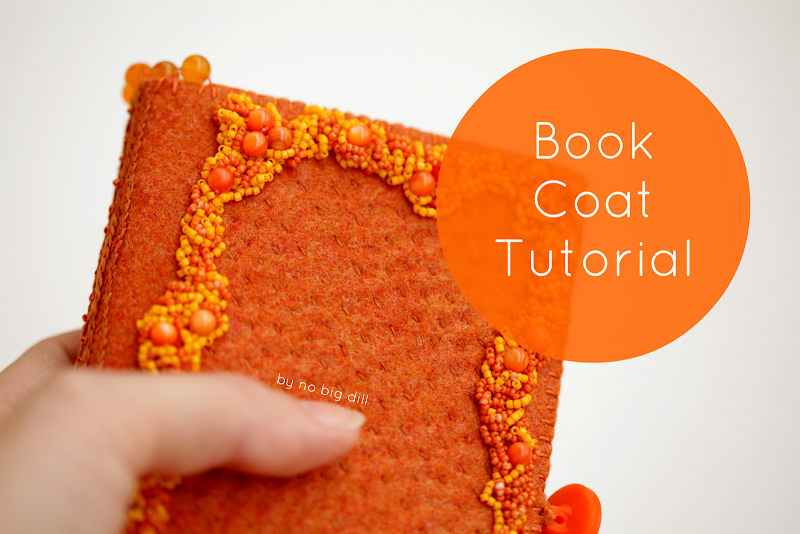 But, I also wanted to let you know that you can also just double up your 1mm thick felt, using an adhesive between the two layers if that bothers you, or sew through both thicknesses as you embellish the book cover. I am currently in the process of making one with the 1mm, and it works just fine, it's just not as hefty of a cover as the 3mm. Really, just use what you have, but make sure it's wool, not the cheap synthetic kind! Also, while we're on the subject, I just got the newsletter from PurlSoho (which has a superb selection of wool felt), and they're having a sale right now until the 5th--everything in their store is 20% off, including their salivation-inducing felt bundles. My favorites are the spice, new year's, and autumn :) Make sure to use code "TENTH" for the discount. And as my sister pointed out, you can also shop by color. Cool! I know this world is quickly becoming everything virtual and digital. And I am desperately trying not to get left behind. While there are plenty of things that can be substituted, some can never fully, truly, honestly be replaced. Like? Real mail, to tear open and hold a lovingly sent parcel, or a real cookbook to snuggle on the couch to flip through, or an actual pen to notebook writing or sketching. 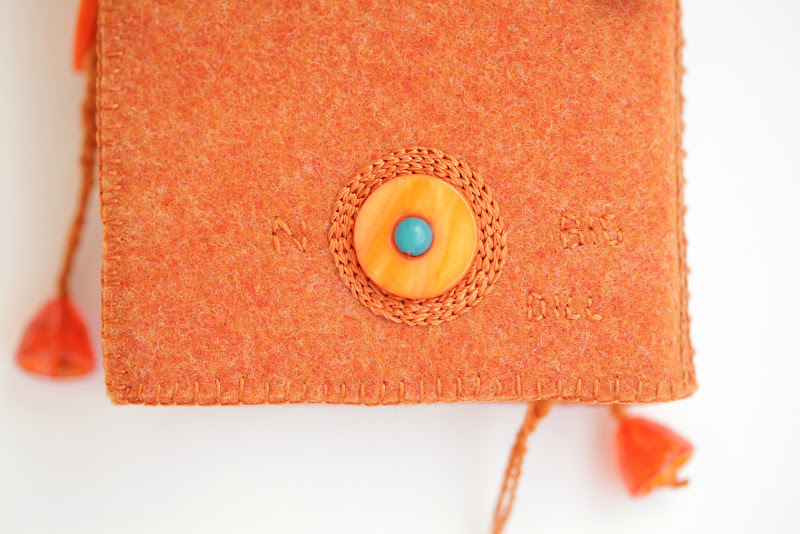 This easy tutorial to make a book/notebook cover pretty much glorifies the tactile. 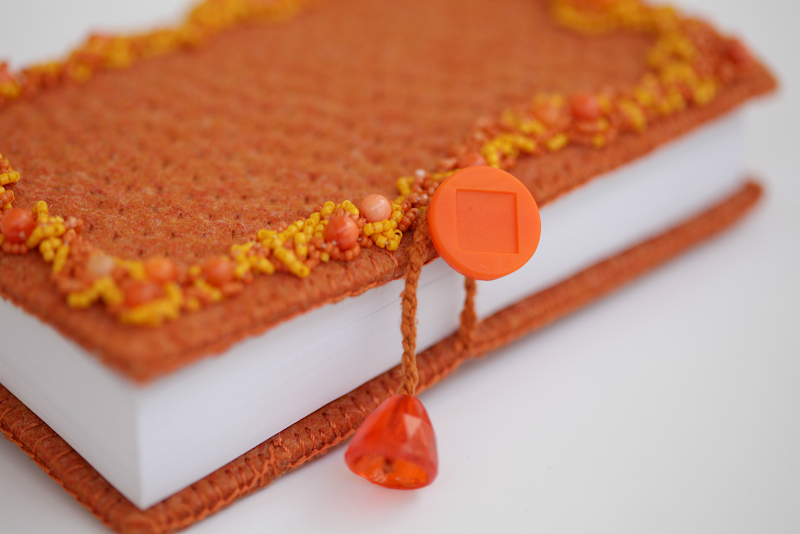 With a bit of embroidery, perhaps a smattering of beads, a couple of buttons, you might enjoy running your fingers over your book just as much as reading it! I got this idea from my mom who makes scripture covers for the grandchildren when they turn 8 and are officially baptized. People always want to grab them and inspect all the delightful details she includes, inside and out. 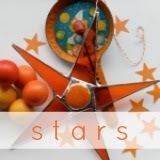 This is a perfect project for the summer to take with you (it's nice and small, just tuck it in your purse!) as you sit during swim lessons or go to the park, working on it just a few minutes at a time. I always have a hard time finishing one because I want to keep adding details. One of my favorite parts is gathering supplies. I don't ever use every single thing I pull out, but it's fun to see them all waiting to be turned into something beautiful. When picking your pallet, consider going monotone, which highlights texture. Contrasting colors (I have an example later on) are also fun, but less subtle. Getting started. 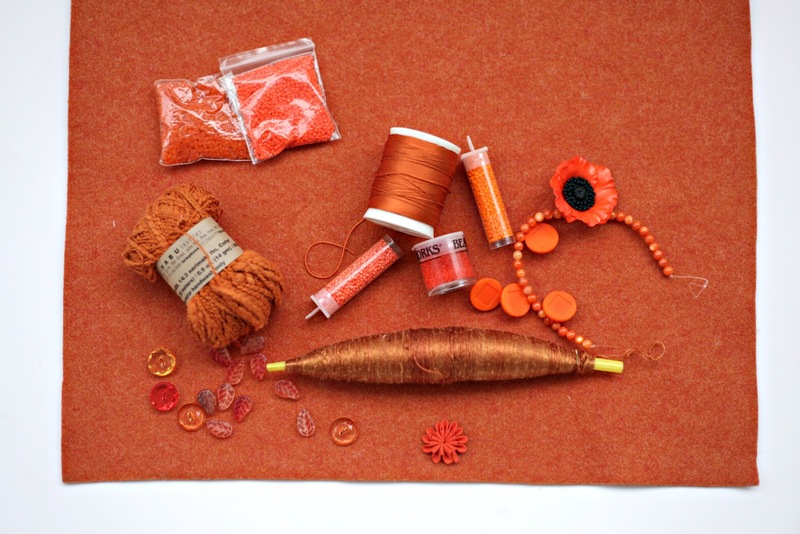 You will need some quality wool felt (you might as well start with quality if you're going to put so much work into it! 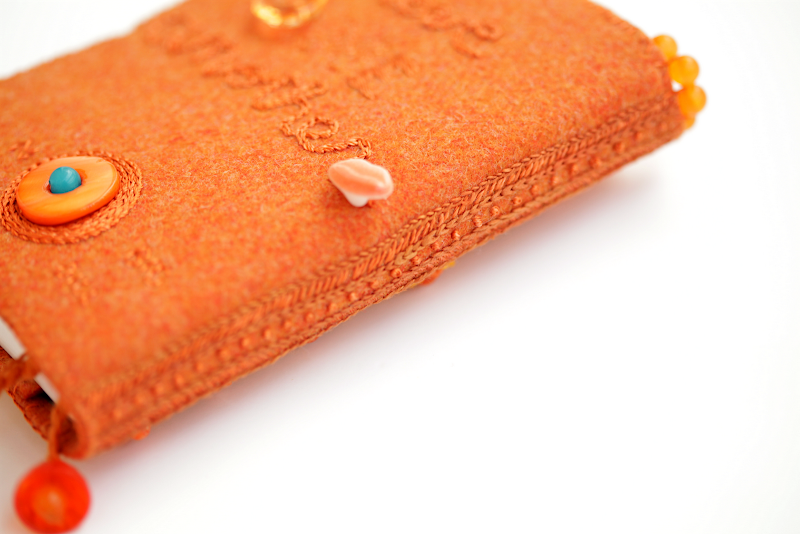 ), the amount will depend on the size of book/notebook you're covering. You will also need a bit more (2/3 of the size of the cover) for the inside sleeves. 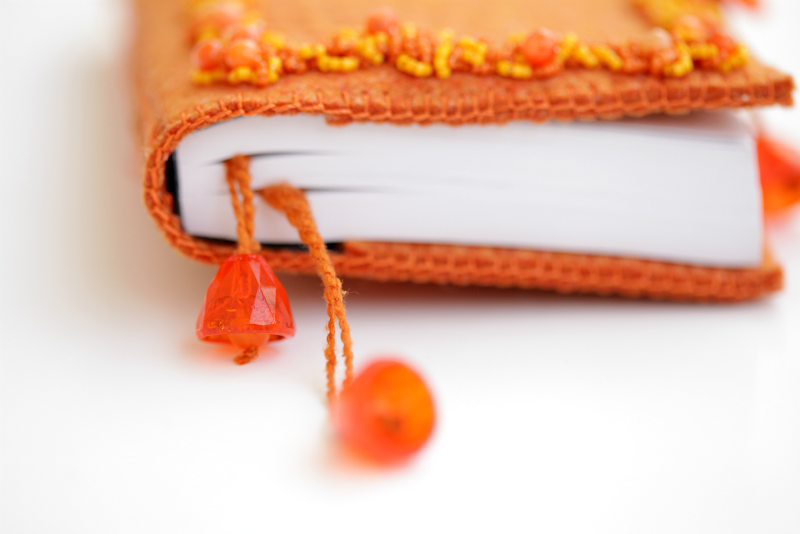 Wrap your book in the felt and cut it 1/4" bigger all the way around. Start decorating! I didn't draw any plans or patterns. That might scare you a bit, but once you get going, you'll find it freeing to just stitch to your whim! It won't be perfect. But it will be personal. If it's a bit lopsided, that's okay. If all your stitches aren't the exact same length, that's okay, too. Just start. If you truly can't stand something, then go ahead and take it out and try something else, but it's fun to just follow your needle. 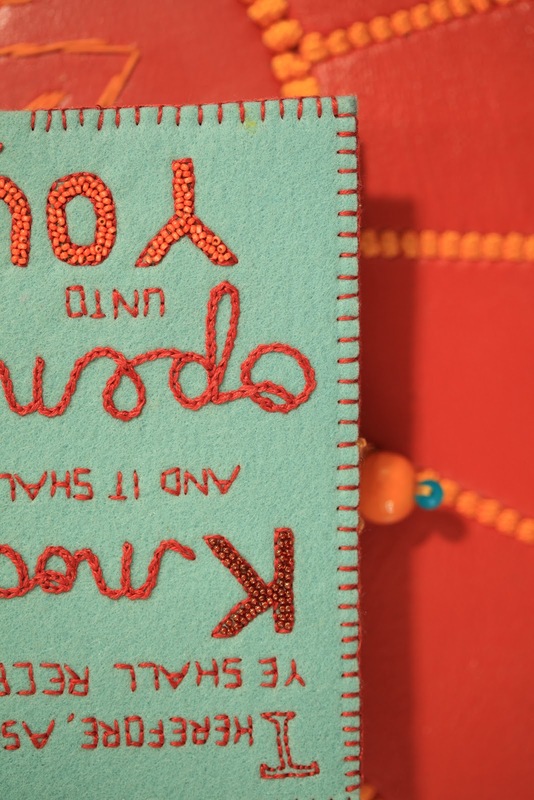 You can stitch a favorite quote, family motto, scripture, or just a name. 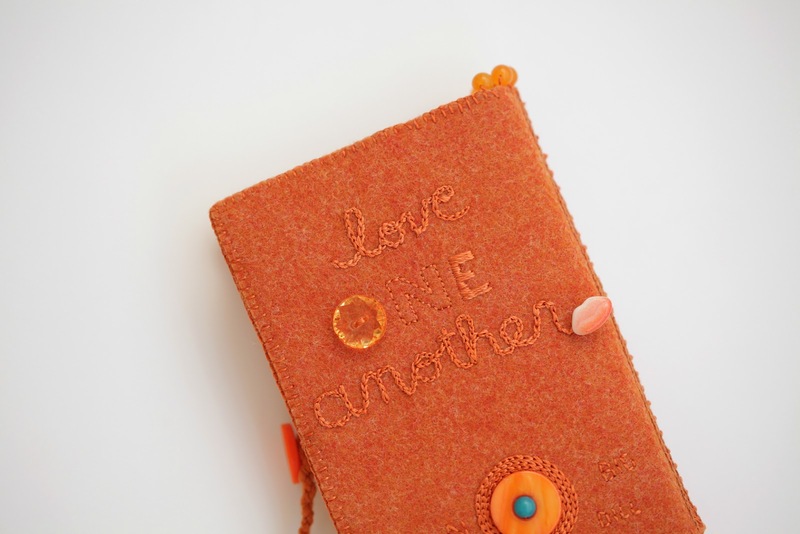 Or just fill it with textures of different stitches. 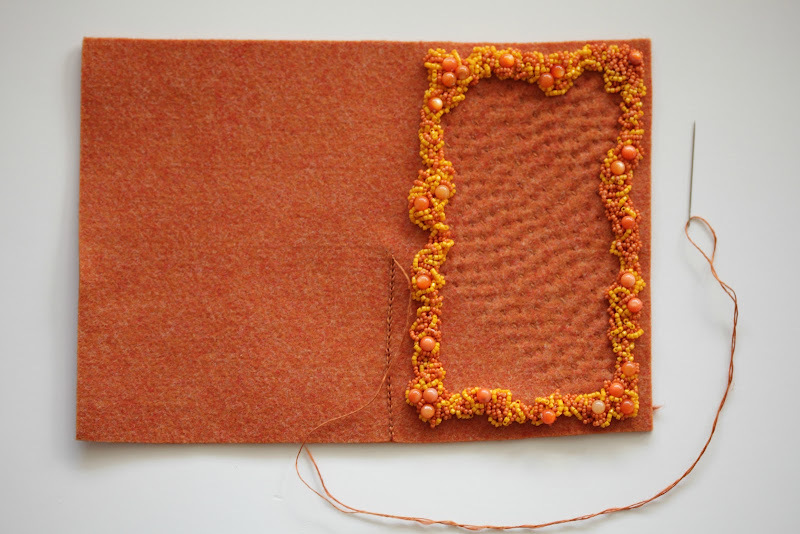 Practice that new stitch you've been meaning to learn. Turn it at an angle, or make it curvy. Find a button from your grandmother's button jar you inherited that was just waiting for such a project. Once you think you're satisfied with the cover, attach the inside sleeves, cutting two pieces of felt that are a third of the size of the cover. 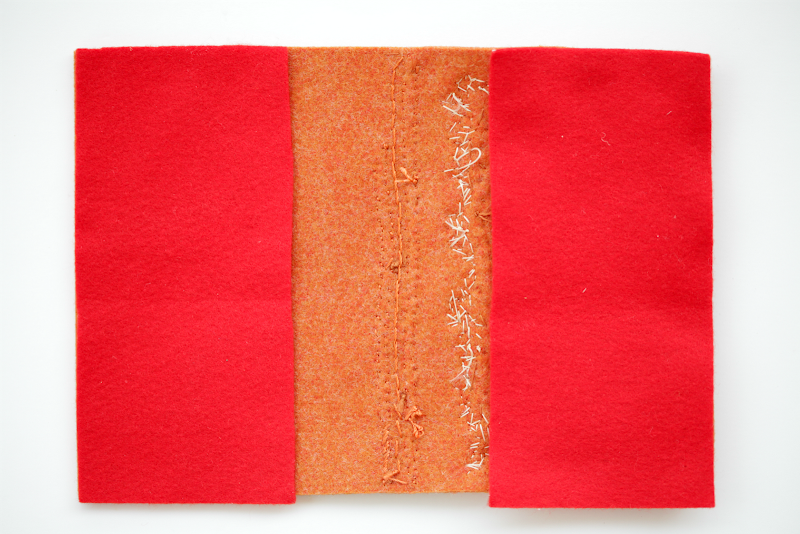 Attach with a blanket stitch, satin stitch or just a simple running stitch 1/4" into the seam. Don't go any bigger or your book won't fit! But don't think the fun is over just yet! It's hard to resist adding some bookmarks. I used some irregular silk embroidery thread and attached a glass bobble on the end. 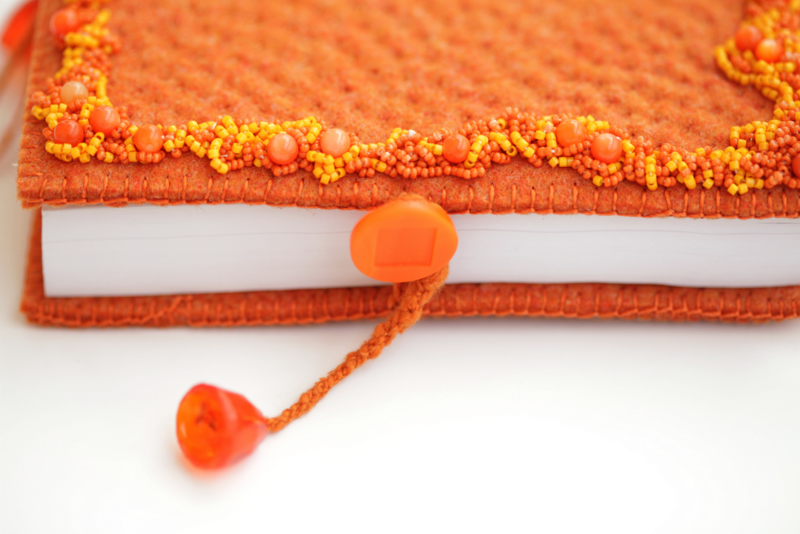 You could also just use some narrow ribbon, sew it to the top of the book cover spine. You could also add a closure. Sometimes I will use a small hair rubber band, sewn between the sleeve and the cover. On this one I just added more embroidery floss to wrap around a button on the other side. I kept the back pretty simple: LOVE ONE ANOTHER. And you can add your logo and a tiny little surprise of color, too! It's fun to have little dangling bobbles as you carry your new little treasure. Thanks for having me, Delia! Thank you for the tutorial. Is very beautiful! This place http://www.filzfelt.com/blogs/yardage has gorgeous thick wool felt. I'm not associated with the store, but have bought some of the felt. It's lovely. Thanks for the doubling up tip. 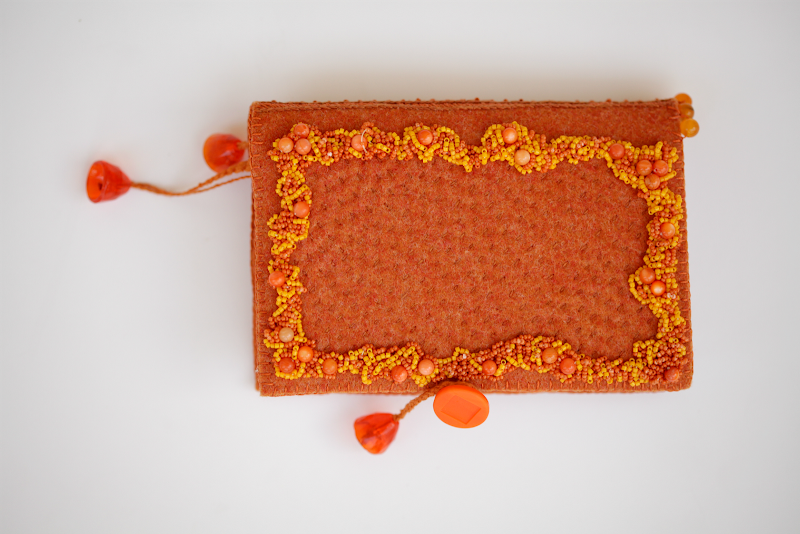 I love Purl Soho's felt but wasn't sure it would survive as a book cover. I just adore this project! I love reading your blog and seeing the things you make. You're quite an inspiring person in so many ways. Thanks for sharing your journey. Katy you have the gift of making everything you touch beautiful! It is beautiful and very evidently made with such love and care = something to be treasured by future generations. They also have even thicker felt, if you interested. I've gotten a bunch of felt from them in different thicknesses and I love it. hi there katy-lady. just popped in to see what loveliness you have going on over here--these are incredible. who was the lucky recipient?